Pokémon just wouldn’t be Pokémon without a rival to constantly challenge you. Thus, even drawing game Pokémon Art Academy has a rival—a girl named Lilly. But while I thought I was the worst artist in the world, Lilly proved me wrong. Her art is terrible—so terrible, it loops all the way back around to wonderful. 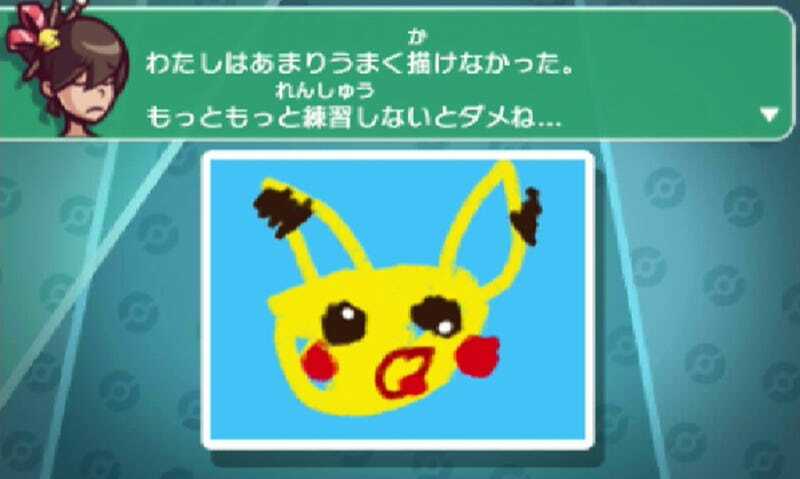 If I were to describe Lilly's art style, I would ask you to imagine a toddler trying to draw a Pokémon with his feet …while having a seizure. At the start of the game, she can't even color within the lines. But what she creates is, nonetheless, full of an endearing charm despite its horribleness. But don't take my word for it: I've come with examples.